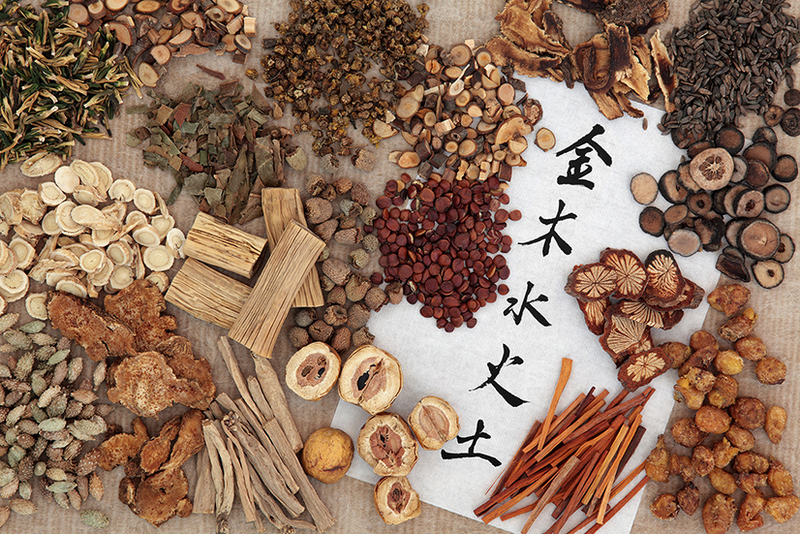 Chinese Herbs - Are They Right For You? By Susan Tretakis – It’s been a very social month for me, which is somewhat surprising since I am not usually social. In fact, I define the word “introvert” to the max, but I have seen a number of people these past few weeks who I have not seen for many months. Some are snow-birds; others are just busy with this thing we call “Life”. Everyone is extremely interested in my TCM journey, extremely complimentary on how well I look, and all seem to zero in on my use of Chinese Herbs. 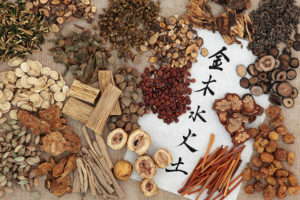 It became very apparent – very soon – that as much as I explained Chinese Herbs are not drugs, the Western mindset does not accept the concept that a cure – or better yet – a preventative for a complaint – can be achieved without Big Pharma. Basically, if my acupuncturist has taught me correctly – and I have retained what he has said – when the flow of qi through our meridians becomes blocked, illness results. The purpose of acupuncture and Chinese herbs promote the proper flow of qi through the meridians, thus restoring – and most importantly to a wimp like me – maintaining good health. Food and drink was the first type of medicine. Most Westerners view food as entertainment or for comfort, but everyone is aware how different foods have varying effects on their specific bodies. This is why we see some many television commercials with a chili cheese burger smacking a man across the head while promoting an FDA antacid. There is no diet pill in TCM. Since beginning with my acupuncturist in October of 2016, he has prepared herbs for me to take and treated me with acupuncture to get my metabolism, emotions, and organs balanced. After each tongue inspection and pulse assessment, his acupuncture / cupping treatment varied and he made one or two suggestions – what foods to eliminate, what foods to add – but, in the end, it was up me to implement his advice. So, while I can easily understand my friends’ wanting a miracle pill, they had to be reminded that it has taken this long to lose 125 pounds. I had to learn how to shop, how to cook and how to say no to various restaurants. It was a complete lifestyle change – and while there were times when it all seemed a bit too much, I powered through with encouragement from my TCM doctor. My reward for “powering through” varies from the profound – I still have my original knees that three orthopedics said needed be replaced by January, 2017, I’m off of six various prescriptive drugs and I have eliminated the need for laser surgery on my eyes – to pure, silly, all-girl vanity – once having worn a size 22, I am typing this wearing size 6 jeans. There is no TCM magic pill for hair and skin. I really don’t help my hair much by changing from blue, purple, and pink highlights and then back to blonde on a regular basis, but my herbal formulas contains herbs that increase hair health and because my system is in tune, my skin is brighter and my nails are stronger. Where do I get these herbs? The safest place to get your herbs is through a reputable herbalist – and if you are reading this post, you have access to one of the best. I am not a fan of on-line ordering, primarily because I am suspect of shelf-life and quality. Will I share my Chinese herbs? This last question made me laugh, especially since it came from my former roommate from college. She leaned across the table and pleaded with me. Truth be known, we were both crazy flower children, two hippie chicks in school at a time when “sharing” was norm. We shared everything: from clothing, to hair care products to boyfriends. We even shared some, ahem, substances, and of course, we tried every diet fad that came along. So, I know how much this question cost her but here’s where sharing stops. I have to accept I am an aging hippie, and some past choices have led me to be more a wilting flower child than usual. The bottom line is that my herbal formula is designed for me – for my system – to balance my qi. It could very well have no effect – or worse – a negative effect on her. Some people are very possessive of their artisan bread recipes, their craft beers; I share that sense of ownership with my herbs. I readily admit that each time I see my TCM doctor, he asks me if there are any issues I’d like to address. I sometimes feel like I am doing an herbal equivalent of ordering a pizza; instead of asking for extra cheese, mushrooms and sauce, I list my continued needs and desires – sometimes outright wishes even knowing there is no Chinese herb that will remove 40 years of age. It’s a game we play, I know he already knows what I need by his examination, but he kindly listens and doesn’t even roll his eyes. I also know that if I just do what I he tells me and if I continue to listen to my body I’ll enter this later chapter in my life but healthier and wiser. And that my friends, is my wish for each of you, whatever chapter in your life you are beginning.